Southport Airshow 2019 Schedule, Timetable, Weather Forecast, Hotel Accommodation. 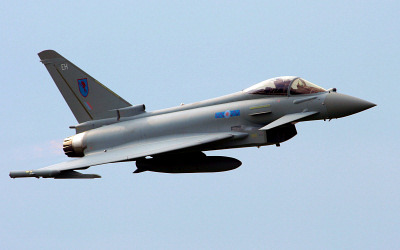 Southport Seafront Air Show - Military Airshows in the UK. The first Southport Airshow was an annual event held in Southport, Merseyside, England, since 1991. The airshow takes place over two days, usually in September, and attracts around 150,000 spectators making it the North West's largest Airshow. The flying programme includes a good mixture of military and civilian aircraft, classic jets, warbirds, helicopters, aerobatics and parachute displays. The show features a whole host of trade stands, interactive and educational displays, simulators, military vehicles, assault courses, bungee trampolines, and children's activities. At the start of the day you can see aircraft landing on the beach on the purpose built runway, a spectacle unique to Southport Air Show. You can get up close to them and the microlights as they park on the beach for the show. The Southport Seafront Air Show is recognised as the North West's largest Airshow and will take place in September for the 2019 season. Combining a spectacular air display with a host of ground activities, the Southport Airshow is an exhilarating and fun-filled experience that the whole family can enjoy. The event promises to be one of the aviation calendar's most spectacular events, providing stunning views of the best jets, fighters, bombers, helicopters and aerobatic aircraft. The 28th Southport Air Show, in 2019, will take place over three days in September. Last year (2018), the displays on the Friday night featured aircraft flying to music at dusk, pyros and LED lights. The launch started a weekend of fun packed flying, ground activity from the military, all finished off with a firework finale to launch the weekend. Please check with official Southport Airshow website for ticket prices and booking. There will be an 'Air Show Village' with stalls selling an eclectic mix of gifts, sweets, models, military clothing and official Red Arrows Merchandise. There will also be activities to keep the little ones entertained such as the water walkers, a traditional helter skelter, inflatable assault course and total wipe-out game. The 'Military Village' will have members of the forces displaying various equipment and weapons they use and they will be offering advice on careers. 'Beach Attractions' include an Army Benevolent Fund paintball range, see how high you can jump on the bungee trampolines, whiz around on the bumper cars and roll about in the land zorbs, there is so much choice. There are also plenty of food outlets serving a variety of dishes from traditional fish and chips, burgers, hog roast and sandwiches.